Originally published August 8, 2010. Don’t miss a thing! Like Beyond The Brochure on Facebook for all the latest private school news. My kids attend Viewpoint School, as I’ve mentioned previously. They co-exist among students who are Democrats and Republicans, Independents and Libertarians. They discuss politics, sometimes. A few weeks ago, the Upper School held an assembly to help students understand how to talk about politics with respect toward each other. Barry and I are lifelong Democrats. He might be slightly more liberal than I am, although I’m not even sure why he even thinks that. My kids are also Democrats, in 7th and 10th grade. The Patriot, Viewpoint’s school newspaper, came out with an edition on election day. 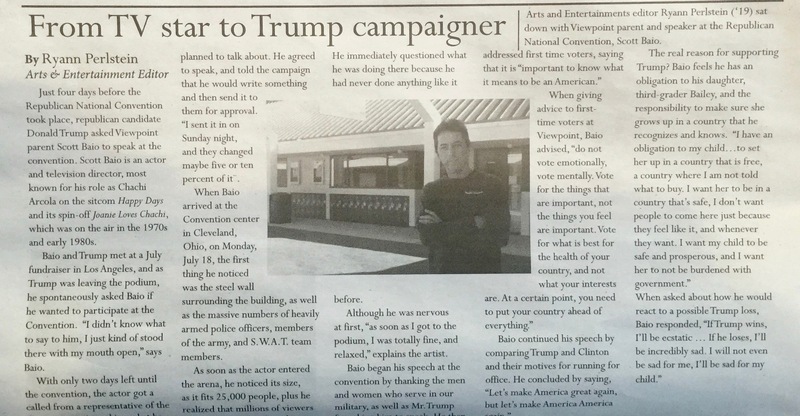 In it, my daughter interviewed Scott Baio, one of President-elect Trump’s celebrity convention speakers. Many of us will remember Scott Baio as “Chachi” on the hit show Happy Days. My daughter’s politics are different than Baio’s. That doesn’t matter. She had a chance to interview a dad at her school who’d spoken at the Republican National Convention. She said he was accessible, funny and of course, serious. Diana Delgado Cornejo’s opinion piece in the LA Times will stay with me for a long time. The writer’s brutal, unflinching honesty–and hope–stunned me. It is one of the reasons Viewpoint is the kind of school I want my kids to attend. They are fortunate to be there, to be around people who don’t share their beliefs and those who are like-minded. I know that. I hope they do too. 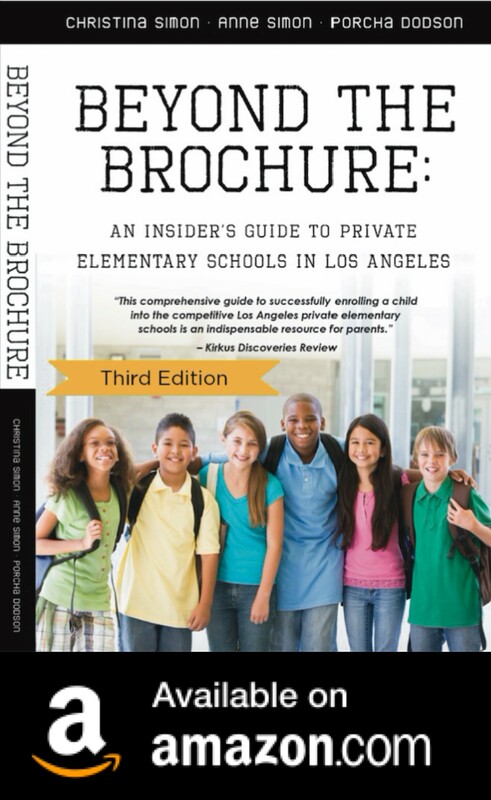 Keep up to date with all the L.A. private school news and events on Beyond The Brochure’s Facebook Page!